Valiant is back in force with Shadowman from Green Arrow: Year One’s Andy Diggle and Valiant regular Stephen Segovia. In this latest iteration, Boniface returns from self-imposed exile to station himself at the forefront of the Valiant universe, facing off against the powerful demons looking to swarm across the divide into the human world. Diggle is at his best when throwing down high-octane action scripts, and Segovia’s superhero pedigree should be able to keep up with ease. 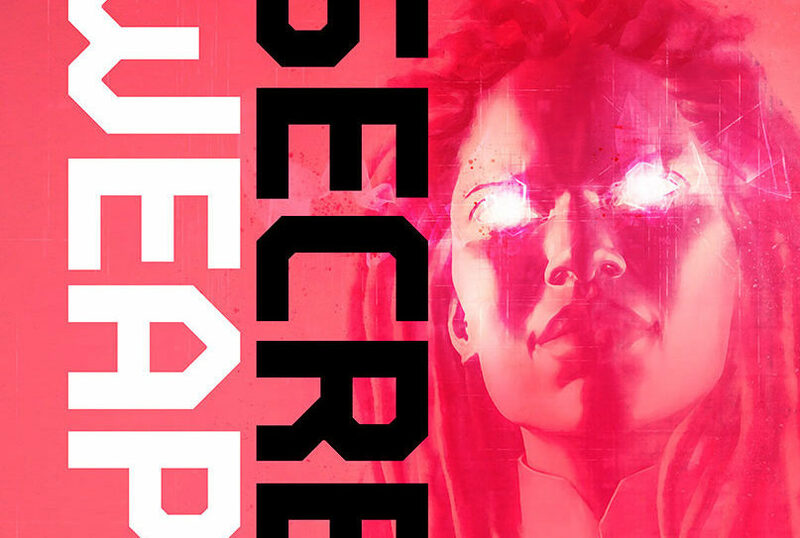 Valiant Comics’ Secret Weapons was one of last year’s most visually striking superhero comics. Now, the book’s creative team reunites for a March one-shot delving into the backstory of Owen Cho, a superhuman who can conjure objects out of thin air, but can’t choose what he pulls from the ether. Whether it’s television, film, or fashion, representation matters. 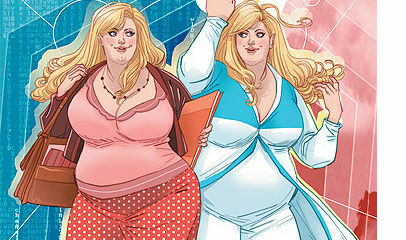 Now, two mediums are blending into one in order to bring a beloved fat-positive character further into the spotlight. 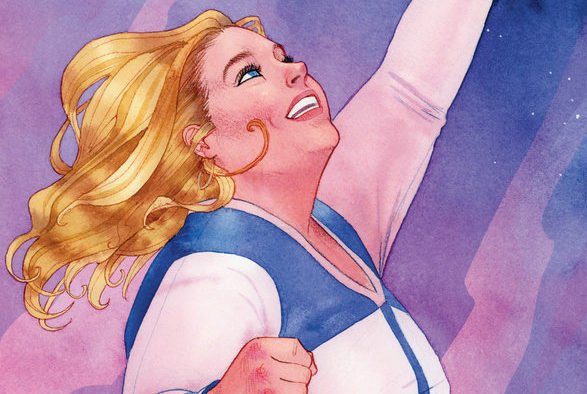 ThinkGeek and Valiant Entertainment are bringing a Faith “Zephyr” Herbert inclusive clothing line to fans, and it’s an undoubtedly powerful moment for plus-women in fandoms. 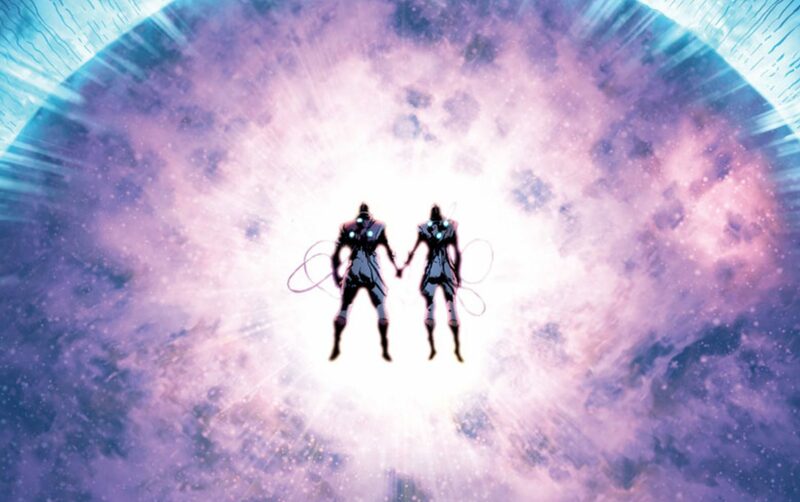 Whether you lived to seek out every corner of the Valiant universe, were new to it all, or were just drawn to Heisserer or Allen’s work separately, you came away with one thought by the end. Why can’t there be more? This is a team of people with crappy day jobs, term papers, and plenty of problems. If that weren’t enough, they’re failures, people drawn into something vast and world-changing and then chucked aside once it became clear they could only talk to birds or make stuff glow. They’re just getting by, and most of them don’t want to be superheroes and don’t see themselves as heroic. But as they’re drawn together as a team, the book becomes the best kind of hero story; finding heroism inside yourself, not because you were given superpowers. Whenever you see a long established character get reimagined, you hold your breath for what might come down the pipe. X-O Manowar was always a solid Valiant title, in many ways was like Iron Man with the added element of a man out of his time. The focus here: a Visigoth fighting the Roman Empire, then enslaved by aliens, bonded with a sentient armor Shanhara, and returned to Earth 1,600 years later. When Valiant relaunched their comic book universe in 2012, it was with just four titles, one debut per month. The first of these was X-O Manowar, and according to writer Robert Venditti in an interview leading up its 50th issue early this year, it was pure happenstance that his comic was the vanguard. I don’t believe that for one second. Every major shared superhero comic book universe has a leader. Marvel has Captain America, DC has Superman, Image has Invincible. And for the newly retitled Valiant Entertainment, it was Aric of Dacia. 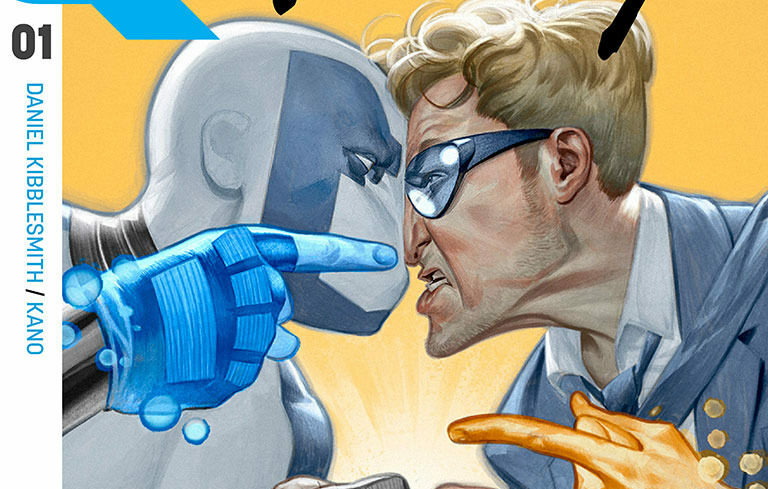 When Valiant Entertainment’s Quantum & Woody #3 arrives in February, it brings with it several landmarks. First, the third issue of the current series is actually the 50th Q&W issue to date. Second, not only does the issue include the return of the duo’s fan-favorite ally-slash-mascot, the Goat, it will also tell the previously untold story of how Dr. Derek Henderson became the Goat in the first place. But perhaps the biggest news is that the issue will feature the birth of Goat’s offspring! “Bloodshot Salvation” just launched in September, but big plans – dare I say, spooky plans – are in the works for the book’s second arc, starting in February. 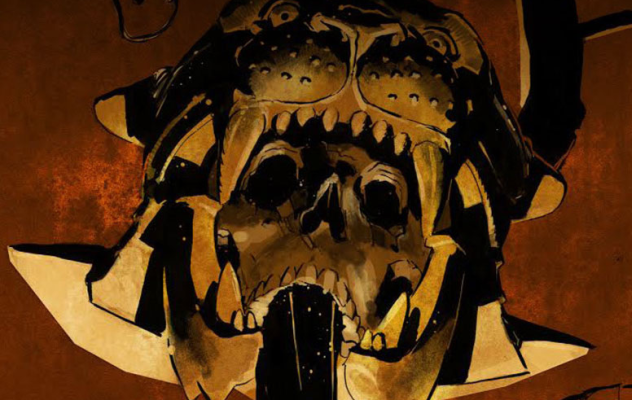 We can exclusively reveal details about that second arc, titled ‘Book of The Dead.’ If that title sounds familiar to you, it is because it is quite similar to “Book of Death,” which is a part of recent Valiant lore, having been explored in a miniseries/event back in 2015. Ninjak returns to Valiant Entertainment this November with the new series Ninja-K from the creative team of Christos Gage and Tomás Giorello — and they’re not doing it alone. CBR has the first word that veteran comics artist Ariel Olivetti will join the Ninja-K creative team with December’s issue #2, illustrating a three-part back-up story, written by Gage, set to tell the World War I-era origin of Ninja-A, MI-6’s first agent in its “Ninja Programme.” This addition will see the monthly issues expand from the standard 32 pages to 40. 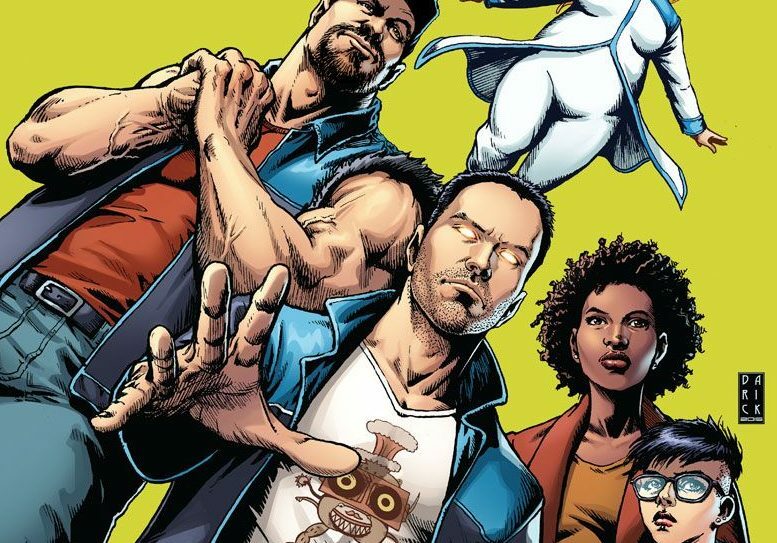 Harbinger Wars 2 is coming, from the all-star creative team of writers Matt Kindt and Eric Heisserer and artists Tomas Giorello and Raul Allen. The story will be told in a manner unique to comic book events. While there will be tie-in issues of the ongoing series, the main event series will have two complete stories in every issue – 48 pages of story, with Kindt/Giorello on one half and Heisserer/Allen on the other. 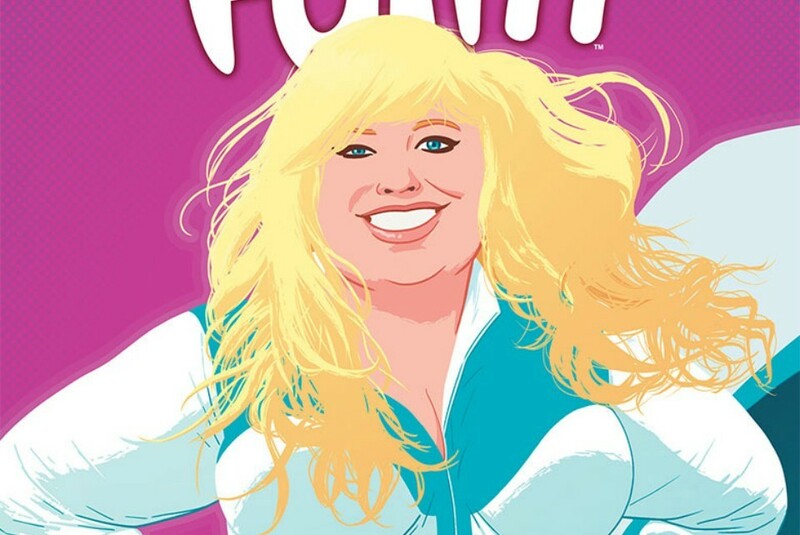 This four-issue arc will follow Faith, an inherently bubbly pop-culture superfan who grew up wanting to have powers just like her favorite heroes. (So basically, she’s me.) Then she found out that she has the ability to fly, as well as move people and objects within her “companion field.” (Unlike me.) She joined a superhero team in the Harbinger comic series. These days, audiences like hefty helpings of humor in their superhero tales, and Quantum and Woody are there to deliver the goofy goods. They’re a pair of mismatched superhero siblings who have been kicking around for years in the comics of Valiant Entertainment, and it was just announced that they’re being developed for television at the producing hands of Avengers: Infinity War directors Joe and Anthony Russo. But that’s not the only way TV and the super-duo intersect: We can exclusively announce that they’re getting a relaunched comics series penned by Late Show With Stephen Colbert writer Daniel Kibblesmith, with art by the mononymous Kano. Quantum and Woody! — exclamation point very much intentional — will debut in December. We caught up with Kibblesmith to get his take on the characters and the proper approach to superheroic action-comedy. Valiant Entertaiment has been a fresh and exciting superhero publisher for a few years now, but there’s never been a better time to start reading. 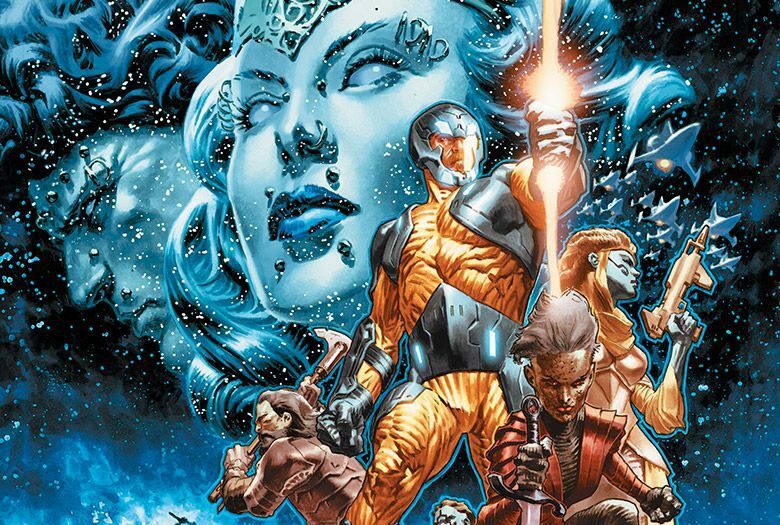 Last month saw the launch of a new X-O Manowar series, with writer Matt Kindt and artist Tomas Giorello taking one of the company’s flagship characters on the first step of an epic space saga. Now one of Valiant’s other prominent heroes will be getting a similarly fresh relaunch, when Giorello and writer Christos Gage begin a new Ninja-K series this November. 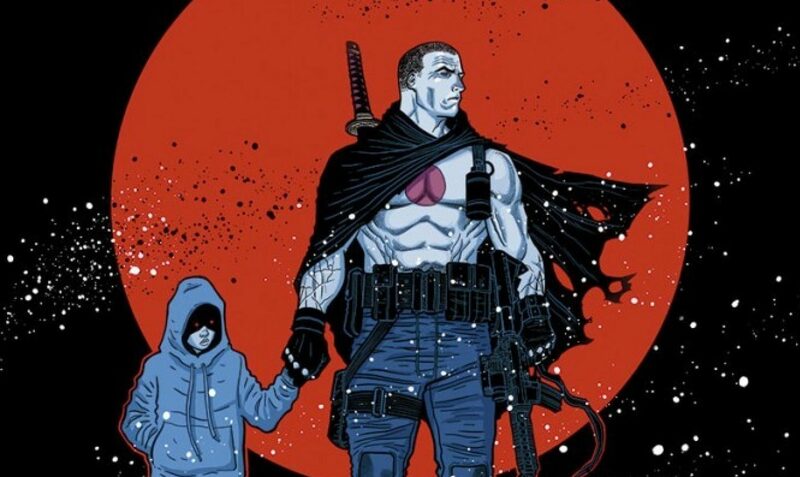 Bloodshot will take on parenthood and white supremacy in “Bloodshot Salvation,” a new series from Valiant Comics. The series, which will debut digitally and in print on Sept. 28, will be written by Jeff Lemire, who has been writing “Bloodshot Reborn” for the last two years. “Reborn” will come to an end with issue No. 0 on March 22, paving the way for “Salvation,” which will be illustrated by Lewis LaRosa and Mico Suayan. In an unprecedented partnership, the Vans Warped Tour is teaming up with Valiant Entertainment for this year’s festival. Valiant’s robust arsenal of comic book superheroes – including Bloodshot, Faith, Ninjak, X-O Manowar, and more – will feature heavily on Warped merchandise and posters as part of this year’s “comic book” theme. 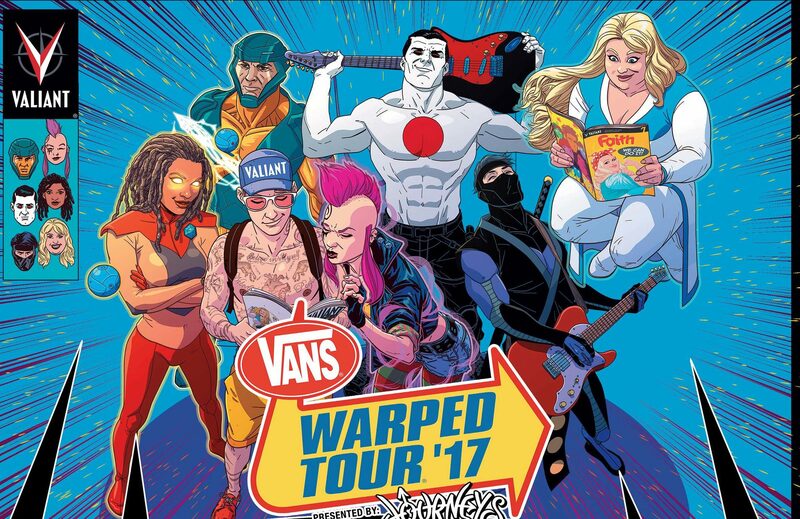 Though this is the Warped Tour’s 23rd year, it’s the first time a comic publisher has joined the touring roster like this. For fans of genre fiction, the box-office success of last year’s science-fiction saga Arrival was a heartening development. Sure, the cineplexes are packed with flicks that traffic in the fantastical, thanks to the rise of superhero mega-franchises like the Marvel Cinematic Universe and the DC Extended Universe, but Arrival was something rare: a self-contained and idiosyncratic sci-fi picture based not on world-famous characters, but rather on an obscure short story. Key to its success was screenwriter Eric Heisserer, who just earned an Oscar nomination for Best Adapted Screenplay. He’s trying to pull off a similar feat on the printed page by taking his talents to an unconventional new comic-book tale from upstart publisher Valiant: Secret Weapons. For years, Valiant Comics has been a leading publisher in the indie market. It’s been nominated for several Harvey Awards and has top-notch titles like Harbinger and Bloodshot on its roster. But Valiant Comics’ underrated flagship was a series called X-O Manowar. After its launch back in 1992, it became an indie classic, selling more than 8 million copies. Now, 25 years after it began, X-O Manowar is back — and Mashable can exclusively reveal 6 pages from the first story at the bottom of the page. Peter Milligan, Juan Jose Ryp, and Jordie Bellaire’s Britannia was a delightful surprise last year—and in a year of brilliant comics, its unique take on the world of Ancient Rome still conquered our hearts as one of 2016’s bests. So we’re as excited as anybody that we can announce that Britannia will return for a second run this year, and io9 has the first details. It may be something of a niche concern, but I do often fret that if the radioactive spider bites, I just wouldn’t look good in the primary-coloured skintight Lycra that convention dictates a superhero must wear. 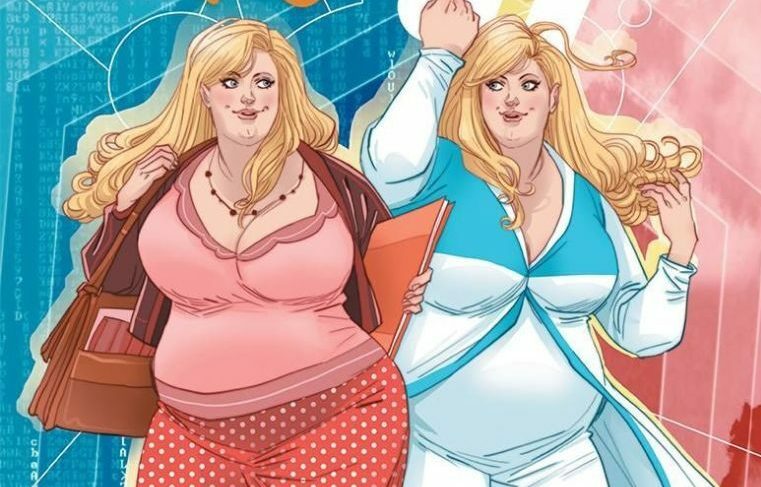 So it’s a breath of fresh air to see a new comic whose leading character is not only quite sensibly clothed, but also happens to be plus-size. Faith, debuting in January from US publisher Valiant, features the teenager Faith Herbert, whose alter ego is the high-flying Zephyr. She’s been around in the Valiant universe for quite a while, but this is her first solo book. And as well as having a body shape more representative of many women than the pneumatic stick insects of comic book tradition, Faith is something of a geek too. Ever notice how superheroes — both male and female ones — look like they’ve been chiseled out of granite, yet somehow keep their identities secret from the world? It’s unrealistic and silly, and one new comic-book star is about to change that. Valiant comics is giving a character named Faith Herbert, who has appeared in comics since 1992, her very own series, which debuts Jan. 27. Her superhero character name is Zephyr, and she is telekinetic and can fly. 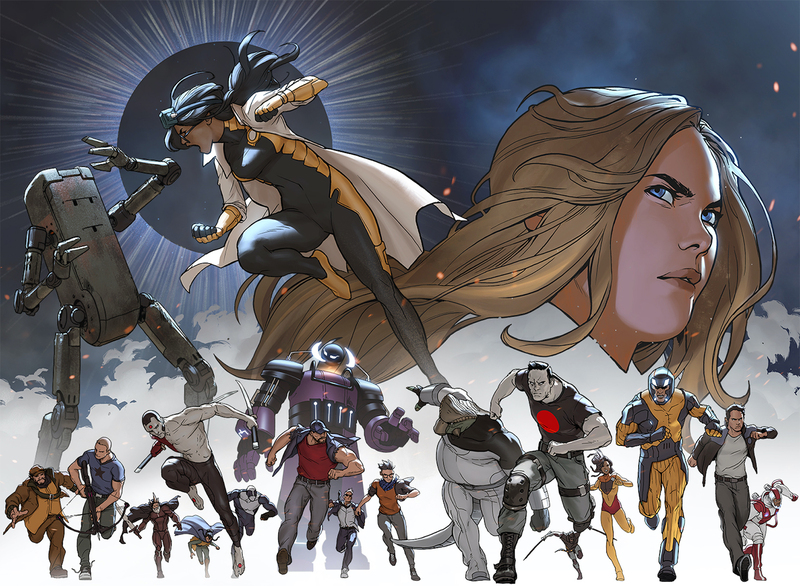 Creators at Valiant came up with Faith because they wanted to make something that reflected their lives. Valiant Comics is no stranger to complex, dynamic female characters, and in Rafer Roberts and Darick Robertson’s new Harbinger Renegade series, one of the team’s original members steps into a new leadership position. Kris Hathaway, the brains behind the Harbinger Renegades, is now the formal leader of the superteam. But that’s not all. Faith is an awesome, crime-stopping superhero. Under her secret identity, Zephyr, she can fly and perform telekinesis. And, oh yeah – she just happens to be plus-size. 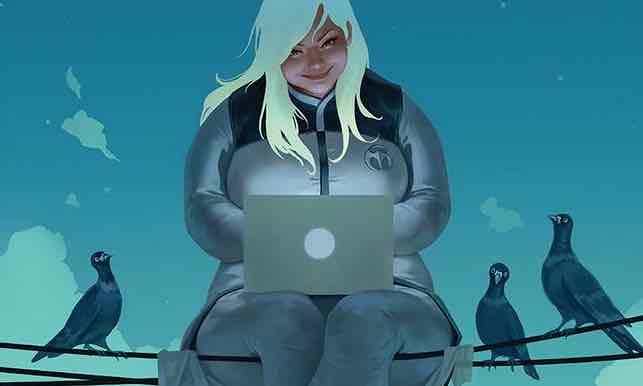 Faith isn’t a new character – since 1992 she’s been part of the Harbinger story, a comic book series from Valiant – but now she’s getting her own series, thanks to a pitch from writer Jody Houser. Valiant Entertainment has entered the digital game. 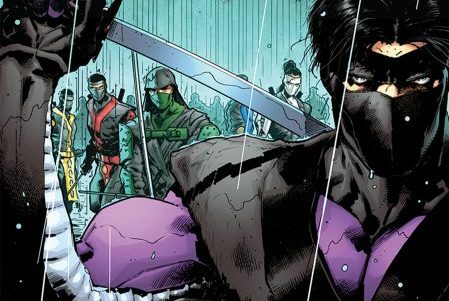 At New York Comic Con, Valiant announced Ninjak vs. The Valiant Universe, the first web series to be developed and produced by its new arm, Valiant Digital. 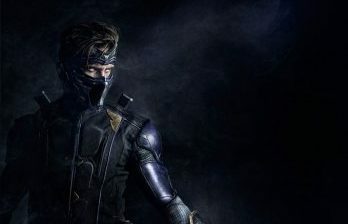 The series is directed by Super Power Beat Down creators Aaron and Sean Schoenke, with Joe Harris co-writing with the father-son team, and will see the titular Ninjak — aka Colin King, deadly secret agent for MI-6 — forced to turn against his fellow Valiant heroes after being blackmailed by arch-nemesis Roku. Arrow’s Michael Rowe stars as Ninjak, with other castmembers including Jason David Frank, Ciera Foster and former WWE wrestler John Morrison as the immortal Eternal Warrior. Faith Herbert is a telekinetic superhero in Valiant’s comic universe. She flies through the air donning a bright white and blue jumpsuit, saving puppies, and uncovering corruption around every corner. She’s also fat—and not “fat” in the way that popular culture describes plus-size models like Ashley Graham. Faith has a double chin, and that skintight jumpsuit doesn’t hide her curves. And the best part for many comic readers is that no one says a thing about it.